Sat on the sofa in my pyjamas with an episode of Thinking Tackle on in the background you’d think it was a normal Sunday evening in the world of Mr Northern Carp Angler. You’d be wrong though, because I’m actually sat here buzzing after a great session at Brandesburton 3&4, only 6 hours ago I was at the side of the lake packing away my gear. My friend Gaz and I started fishing Brandes in early 2014 on a day only ticket and in all honesty we struggled. With the venue being a 3 hour round trip we only did a handful of short sessions and although I lost one on my second session, it took until August to catch my first fish (which you can read about here). We decided to apply for night permits and do some longer sessions this year to see if we could crack it. This weekend we had a rare opportunity to do a 48hr session so we grabbed it with both hands, booked Friday afternoon off work and headed East. We arrived just before 3pm and with bucket in hand, started the usual walk around the lake to see if we could find any fish. The first peg we came to was Grassy Bank where a chap was doing a day session. He’d had 3 takes and there were still signs of activity in the swim so he recommended that we moved in after him. We decided that it was a good option as we’d fit the 2 bivvies in and there were enough likely looking spots to allow us both to fish a couple of rods each. We still had a quick walk around but in all honesty we’d made our decision so we were always going to go back to Grassy. As we returned to the peg after our walk around, the chap fishing there had a take. 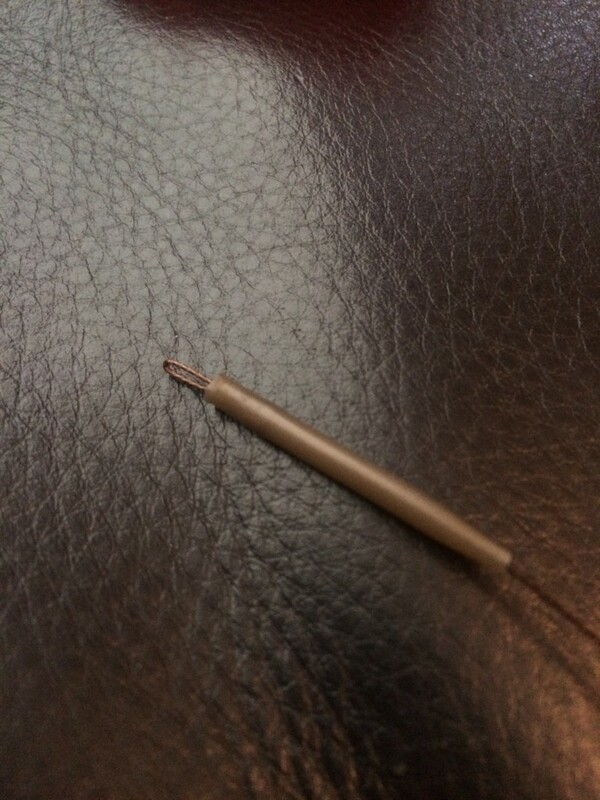 It came off after only a few seconds but it was confirmation that we’d made a good decision. He was kind enough to offer that we bring our gear round to secure the peg and was happy for us to sit with him while he finished his session – this gave us a good opportunity to pick his brains about a few spots to give us a starting point. After a brew he started packing up and we got our bivvies out – we normally get the rods out first but the heavens were about to open and we wanted to avoid a soaking! We let the rain calm down a bit and then started setting up the rods. The far margin was the order of the day and we covered 4 nice looking spots with a couple of rods each, there are a lot of lilies and snags near that margin but the spots we chose felt clear so confidence was high. The first night was uneventful other than a few liners. The rain hammered down all night but I was lovely and warm in my new Fox Ventec 5 season sleeping bag. The thing is huge but dear me it’s toasty in there! Well worth looking at if you’re in the market for a winter bag. I never sleep too well in the bivvy but I was in the land of nod at 6:50am when my left-hand rod screamed off. I ran out into the damp morning to play what felt like a good fish. Unfortunately it managed to let go of the hook and I was left feeling disappointed but also pleased that I’d had a take – there was still 30 hours to go so this gave me confidence. Within 40 minutes I’d had 3 takes and 3 losses – the confidence had turned to frustration and I feared that my chance was gone. An hour or so later Gaz had a take but he was smart enough not to lose it, the problem was that it was a bream! A big bream granted but a bream all the same and on the day not our target species. Not long after returning it though he had another take and this time it was a carp which turned out to be a single figure stocked fish. He was over the moon as it was his first Brandes carp so size didn’t matter. It all went a bit quiet so we got on with drinking some tea and putting the world to rights. Grassy Bank in which we found some productive spots. Early afternoon and Gaz had another take, this time by something much bigger. He said that he’d never felt anything as heavy on the end of his line and was determined to see it in the net….. yep you guessed it – he lost it! Of the 6 takes so far that day only 1 bream and 1 carp was landed – both by Gaz, the pressure was mounting… I did see some more action before the end of the day though and managed a small carp and a bream. With the action we were getting it was a no-brainer where we were going to fish for the night. All rods were carefully cast until we were 100% happy with their positions and we just managed to get them in place before dark, although I did manage to walk into my buzz bars and knock all 3 of my rods off after spending so long getting them perfect, idiot! It was dark by then so there was no way I was going to redo them so I kept my fingers crossed and hoped that I hadn’t disturbed the rigs. 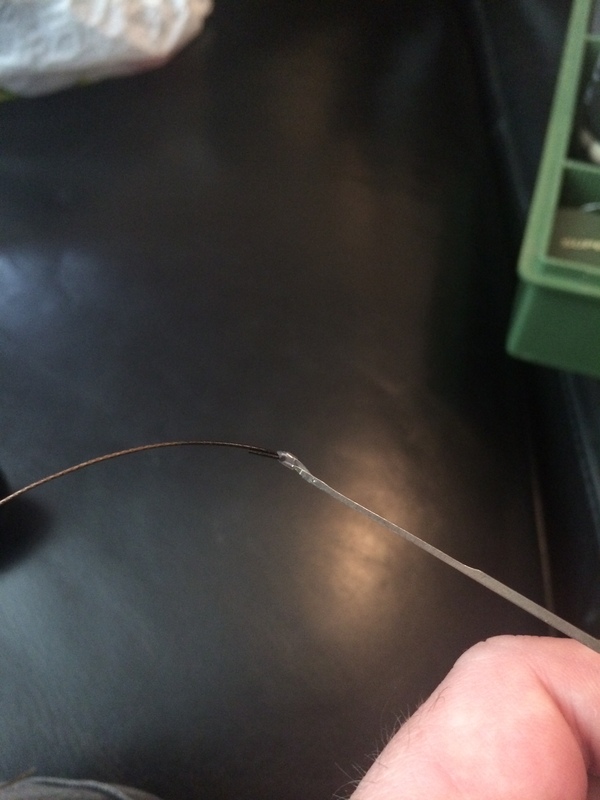 Not long after nodding off (midnight), I had a take on my left-hand rod – I just new that one would go with how happy I was with the accuracy of the cast. I soon realised that a small bream was on the end which was frustrating as I had no chance of getting it back on the spot so I was one rod down for the rest of the night. After returning the fish I got back into bed and was out like a light until 6:14am when I was woken by a screaming run. This was definitely a carp and it tried to take me into some snags, I piled on the pressure and after a short fight the longest carp I’ve ever caught was sat in my net. Because of the length I thought it might be bigger than what it weighed but to be fair it didn’t really have much of a belly. 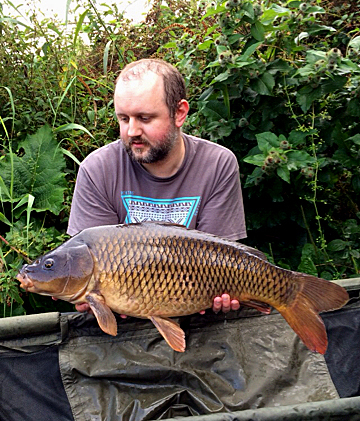 I was still over the moon though with a lovely mid-double common. As you can tell by the hair (well, what’s left of it) and the bags under my eyes, I’d just got out of bed! Shortly after casting back out to the same spot I had another take, again it felt like a good fish but this one also managed to stick 2 fins up at me and it got off. The rest of the day passed uneventfully and come mid-afternoon we started packing up. It was a great session with 12 or 13 bites between us in total and although we only landed 6 of them (and 3 of those were bream), we’d learnt an awful lot. Gaz had broken his Brandes duck and I’d broken my Brandes PB – not bad for a weekend’s work. So, what did we learn I hear you ask. Well the first thing is bite times. Fishing day sessions last year and having to travel from Leeds we were missing the early morning bite time – the most productive time of the day by far based on our new found knowledge of the place. The second thing we learnt was how the fish move in that particular part of the lake and some of the spots you can catch them from. Pictures were taken and bite spots were marked – next time we fish that peg we’ll know exactly where to put the rigs to increase the chance of us catching. Other things we learnt was that the fish there don’t spook on tight lines and they’re bloody wise – they know exactly where to go if they want to get off of your hook! 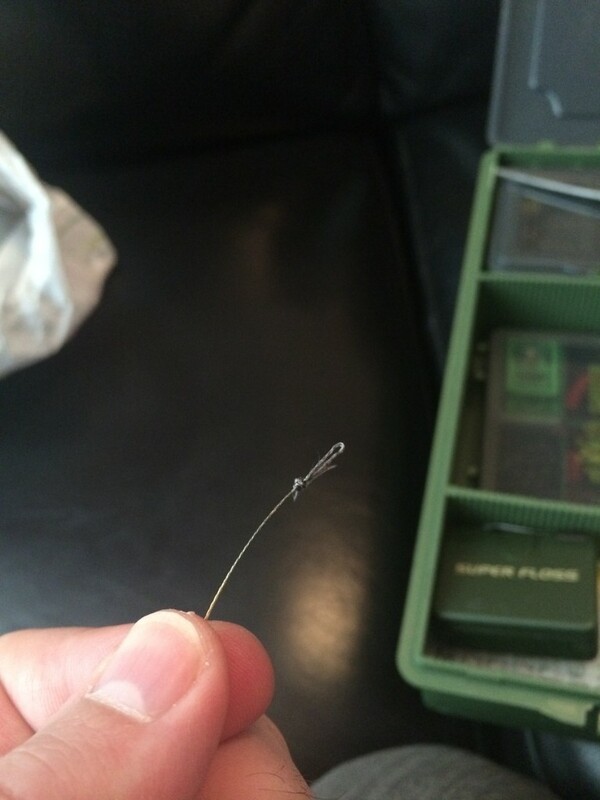 Posted in Carp Fishing Reports on May 10, 2015 by admin. I can’t believe it’s been three months since my last blog post, where does time go? I haven’t really fished much over the winter, probably 5 or 6 hours in total at my local lake – unfortunately I don’t have any pictures of carp to share as a result! I have though received my night pass for Brandesburton 3&4 which I’m really pleased about, I love the place and being able to do longer sessions should really help me to start unlocking the secrets of the water. 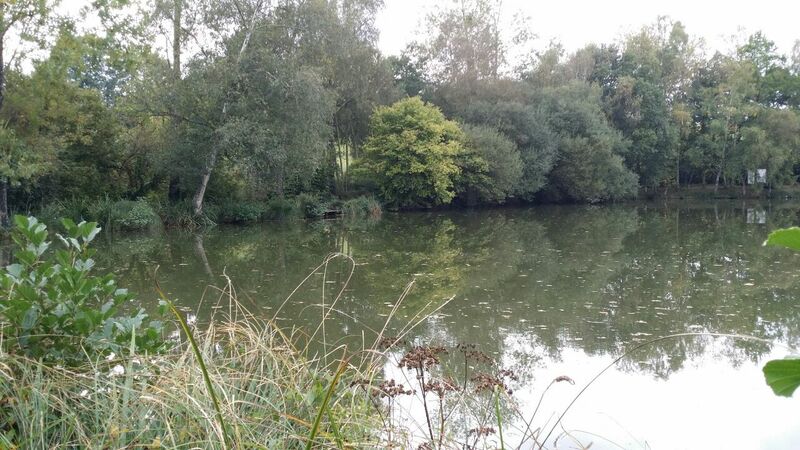 You may recall a blog post from last summer about my first ever carp at Brandesburton 3&4, I’ve only fished there once since so I can’t wait to get stuck into the place. The only fish I’ve ever caught from Brandesburton 3&4 – now I have a night permit though will this be my year? 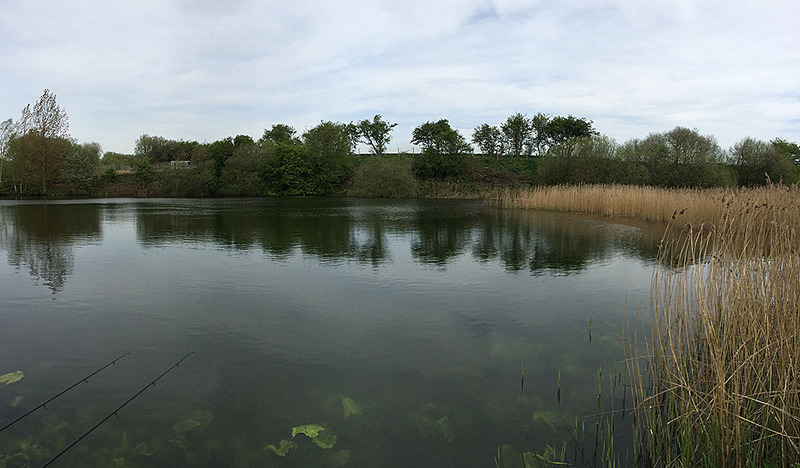 As well as fishing BB3&4 I also plan to have a few more sessions at Raker Lakes. The booking system is a bit of a pain but it really is a lovely place to spend a session chasing big fish. I want a 20lb carp this year and I think Raker is my best chance of that. I’d love for my first 20 to be captured at BB3&4 but I also need to be realistic with the time I have available so I won’t be too disappointed if it’s from Raker. I do have other targets and goals for 2015 and I thought I’d share them with you in this post. Some are quite obvious ie ‘catch a xxlb carp’ but some are a little different, see what you think. Now you might laugh and be surprised at my mid double PB but remember that I get to actually fish only a handful of times a year and I haven’t been doing it for long – I’ve been fishing since September 2010 but only last year did I start to carp fish properly. Don’t worry though, come the end of 2015 and I’ll have smashed all my targets and will have a more impressive PB to quote, hopefully!! 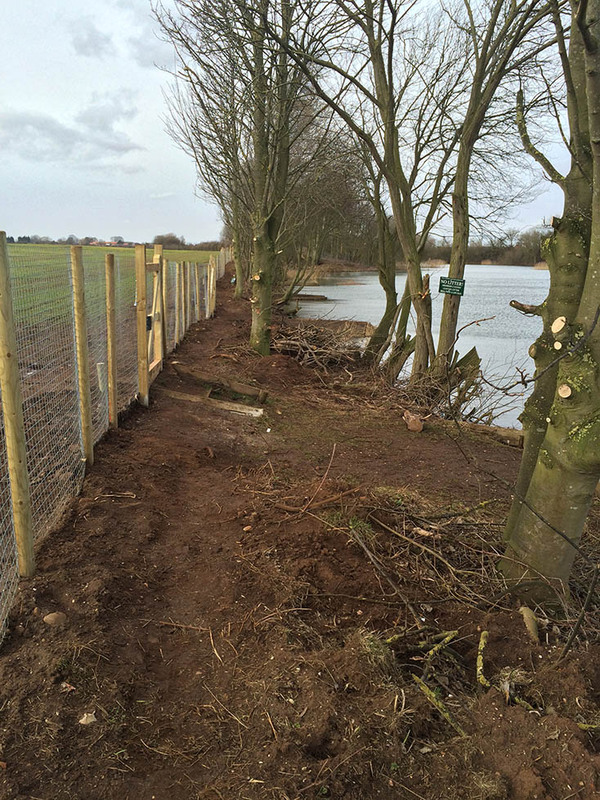 Back to Brandesburton, I recently went for a walk around to see how they’re doing with the otter fence that’s being built. It looks like a lot of trees have had to be cut right back to get the fence in and the place looks very bare because of it. It’s such a lovely lake normally so I’m hoping that it will start to grow back soon. I’ve included some pictures below, unfortunately I don’t have any ‘before’ shots but when you were stood in one of these pegs you couldn’t see any of the other pegs. Now you can see all 4 of them. The trees did need a bit of trim as casting was quite difficult in a couple of the pegs and I know that room had to be made for the fence but the place does look much less scenic now. The fieldside pegs, much more exposed now than before – let’s hope for a quick recovery. 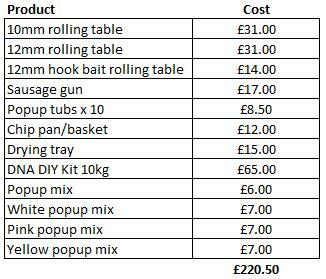 To buy 10kg boilies rolled for me and 9 tubs of hook baits would cost around £140 so it will cost me around 50% extra but from the second season onwards I’ll only have to buy the DIY kit as I’ll probably have popups and wafters left from season one. If you have any boilie making tips for me please let me know via the comments, I’ve never done it before so need all the help I can get! Anyway that’s it for this post, a bit of an insight into what I’ll be doing in 2015. As always I’ll do my best to keep you updated on progress and come the end of the year I’ll do a post on achievements vs targets to see how successful I was. Posted in Ramblings on March 2, 2015 by admin. When I read on Simon Crow’s Twitter feed about the Erics Angling Carp Night in Doncaster I just had to get a ticket. 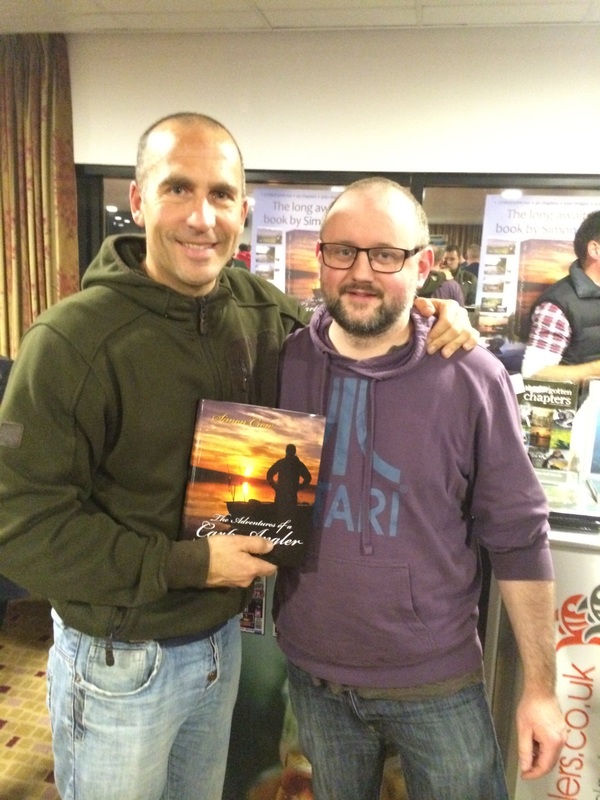 Crowy is one of my Northern carping heroes, I’d never met him in person and he was launching his new book which I’ve been reading the odd tweet about over the last few months. To top it off Rob Hughes was doing a talk on the findings from his diving sessions on carp waters around the UK. I read his articles in Carpology but to see him talk live would be awesome. The night seemed to come around fairly quickly after booking the tickets and before we knew it we were driving down the M1. We set off at 6pm which was the earliest time possible because of work, the doors opened at 6 but I’d Tweeted Simon earlier in the day and he said that the talks would start around 7:30pm so I was happy that we wouldn’t miss any of it. The first thing I noticed when we arrived was how busy it was, absolutely packed! We got a raffle ticket on the way in which we exchanged for our entry tickets. 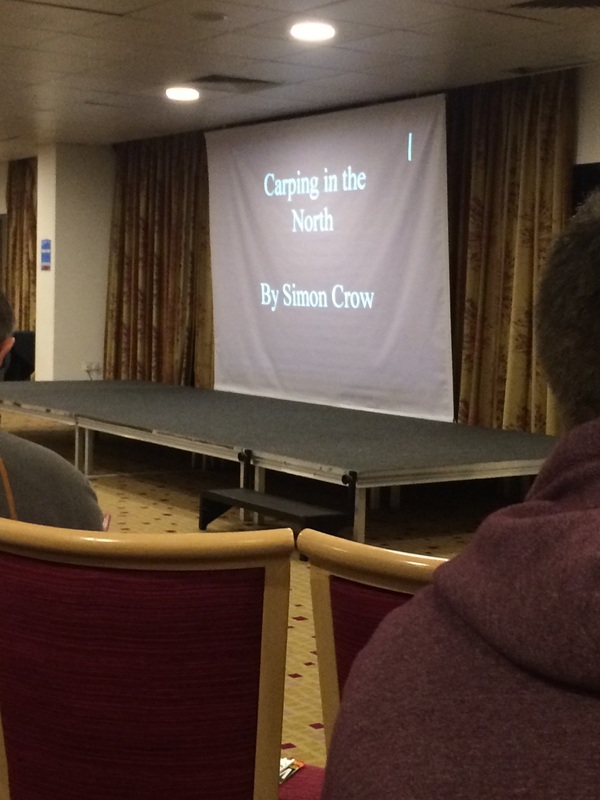 After a drink and a quick walk around we took our seats and waited for the first talk – Crowy’s. Northern carping just doesn’t seem to get the coverage in the monthly mags that the Southern scene gets so anything that is specifically about the Northern scene interests me greatly. Being a member of Hull & District Anglers Association I was particularly interested in the slides on Tilery and Motorway. Although I don’t fish them because of my love of Brandesburton 3&4, I plan to give them a go eventually once I’ve cracked Brandes (which could be some time…) I loved Simon’s description of Tilery “a real man’s water”, I understood what he meant when he said that it can be a 45 minute walk to your peg lugging all the gear – ouch! He covered 6 or 7 venues, some in Yorkshire, some in North Lincolnshire and we got to see some stunning carp along the way. All the venues he covered were open access, either syndicate or club waters. One which I’d love to join one day is Tyram Hall although I think I’d probably struggle to get value out of it with the limited time I have available to fish. At the beginning of the talk Crowy said that the talk wouldn’t be a technical one and there was only one picture of a rig in the whole presentation which was actually quite refreshing! He keeps it simple which was something that was hammered home in Dan’s story of the Les Genets lake record; he caught the 59lb 9oz monster on a standard knotless knot and some maize on the hair. One thing that stood out throughout the talk was that actually there are some lovely looking carp in Yorkshire and some big ones at that, also that if anyone can catch them Crowy can! After the talk finished I bought a copy of his new book which he kindly signed, it looks like a great read and there’s even a section in there about the Brandesburton ponds – bonus! In the last few days, Carp Talk have uploaded Simon’s talk to their YouTube channel, enjoy. After Rob’s talk was the raffle draw. I only had one ticket which I was given when I first went in. Erics Angling were giving away 20 winter tickets to their Willows lake, a water I’ve read a lot about but never got round to fishing. Anyway, guess what – I won one! Ticket 207, lovely stuff. A couple of days later I received a call from Tom at Erics and I booked my first session on the lake which is in the next couple of weeks. With winter truly in force I felt I needed to upgrade my Trakker Big Snooze for something a little bit warmer so as we speak I’m awaiting delivery of a Fox Ventec All Season bag. So, the Willows – big, muddy, weedy, spotty but full of monster carp. I don’t think I have much chance at having the big un’ (58lb!) or even one of the 13 x 40lb’ers but I’m not bothered, a single 20 will do me just fine and I’ll see that as success. It will certainly be a learning curve and I’m looking forward to getting stuck in. Posted in Ramblings on November 29, 2014 by admin. Dave Lane needs no introduction; mention the name to any serious carp angler and the response you get is likely to contain the word ‘legend’. 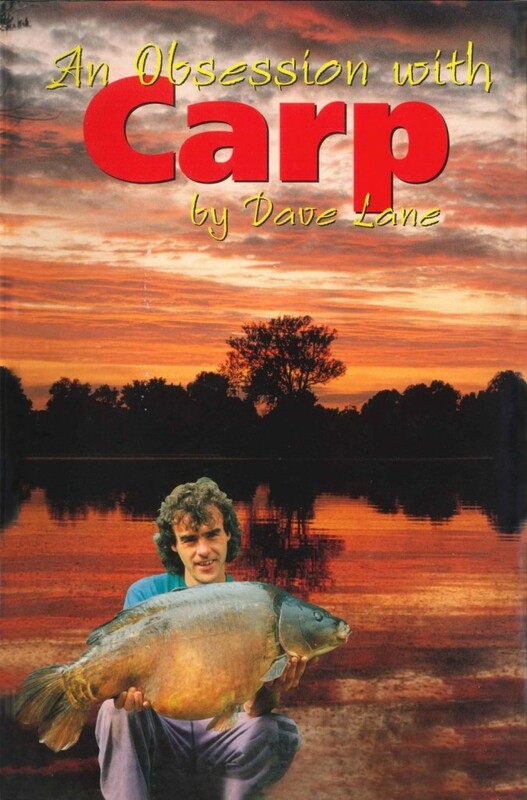 I’d read a lot about Dave (I’ll pretend we’re on first name terms) in the magazines and had seen a few videos with him in them but had never read anything about his background or how he got into carp fishing. My friend Dan had started reading his first book An Obsession with Carp and was really enjoying it so I thought it would be rude not to buy my own copy and give it a go. The book starts out with Dave talking about his younger days and how he got into fishing. 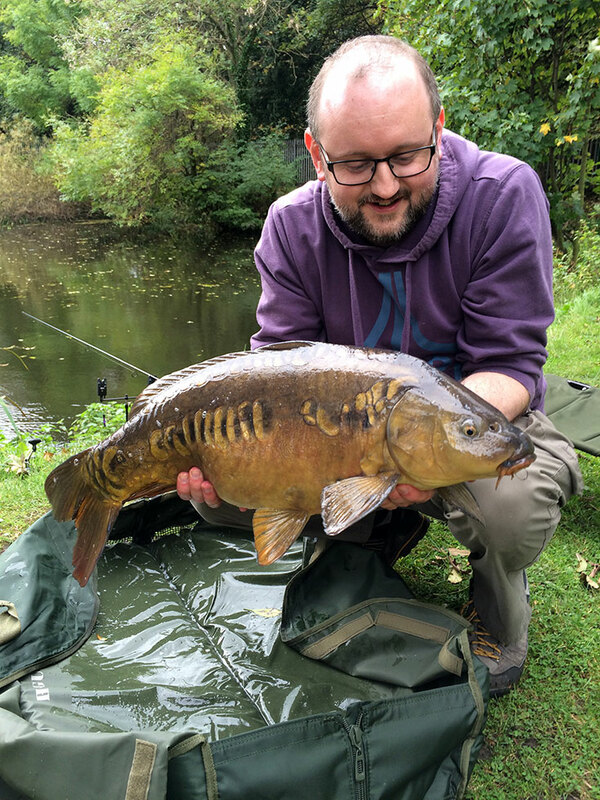 Like many anglers (excluding myself) he was a young lad who went fishing with his father and ended up getting interested in carp as he got a bit older. Once the book gets onto carp fishing you get a real feeling about the places he describes. Some of the venues covered are classic, English carp fisheries including Harefield, Horton and of course the legendary Wraysbury. Even more exciting are the fish which Dave goes on to catch from these venues – ever heard of Mallins, Cluster, The Pug, Mary? Of course you have! There are no technical rig diagrams to show you how these fish were caught but Dave allows you to get into his head and throughout the book you pick up plenty of insights into how he approaches his fishing. The thing that really stands out is how hard he works at his fishing, other than a natural gift this is obviously another reason why he’s so successful and catches so many fish. The other thing that’s apparent as you work your way through the pages is that there was a massive sense of camaraderie with plenty of other anglers being mentioned and all in a good way. From what I’ve seen of the modern day carp scene there just isn’t the social side of it like the more experienced guys talk about from the early days. It’s a shame really but then again with my limited time on the bank I wouldn’t be winding in to go to the pub that’s for sure! Dave’s writing style is brilliant and I have to say he’s very funny. Some of the stories had me in stitches and it really does help to connect the reader and keep them engaged. His crap cars, fat dog and love for Guinness make for some fantastic tales! In summary I thought the book was excellent. I read it twice in quick succession and once you get into it, it’s hard to put down. I’d thoroughly recommend it to anyone who wants an insight into carp fishing in the glory days when Mary was still with us and Wraysbury was at its best. As a holiday or bivvy book I don’t think it could be beaten. The book is available from Amazon and I’ve provided both the Kindle and Hardcover links for you below if you want to read this awesome book yourself, you certainly won’t regret it. Posted in Reviews on October 31, 2014 by admin. fish than Hazard Rock in a storm you’re left with a small handful of places and those need booking a month or so in advance. Syndicates seem few and far between (there might be a few no publicity syndicates but hence the name I don’t know about them) so when my friend Gaz said to me that there was a local pond that was run by a small syndicate and the owner was a friend of a friend, my ears naturally pricked up. Now this lake is small, I mean really small (probably about half an acre) and the syndicate isn’t a carp one, just a general coarse fishing syndicate but the few carp that are in there run up to mid doubles and it’s not far from my house so I just had to try and get my name down. After expressing my interest, it took a few weeks before I heard anything but then I got the text message – I was in! As it’s fairly local I took a drive up just to have a look around. There was nobody on the lake so I did a few laps and put a bit of bait in a few margin spots and a spot in open water just to see if they liked what I had to feed them. 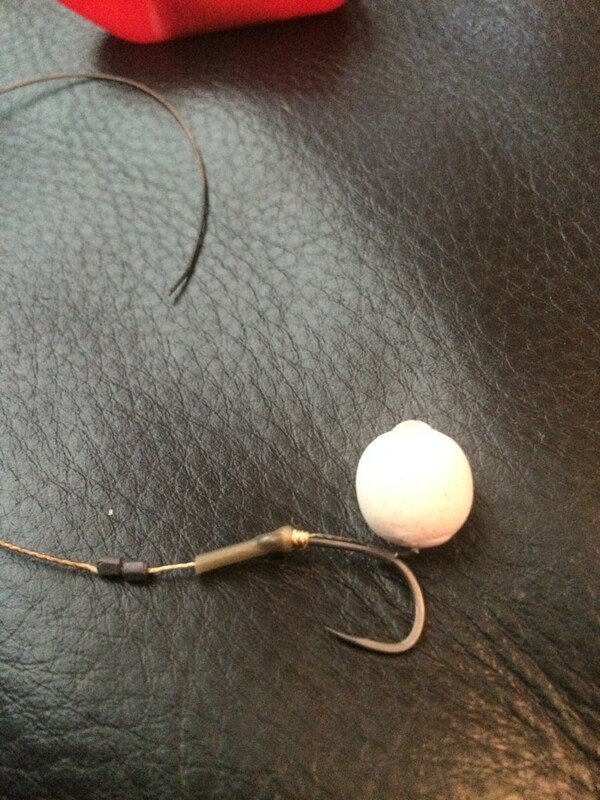 A small handful of Sticky Baits Krill boilies in 12mm and the same of the Nash Instant Action Crab and Krill in 10mm. I saw the odd small carp spook from the margins as I was walking around but not much else. I then got to a snag in the corner of the lake and spotted a couple of koi carp and a common which was right in the edge and staring at me! It slowly moved backwards and out of site but I was happy, at least I’d seen some fish! That was on the Wednesday and I was fishing there on the Saturday (I am writing this post on that Saturday after the session, how’s that for being on the ball with my blog posts!) Anyway I decided to go and have another look around on the Friday night after work and put in a bit more bait. The water on Wednesday was only shallow enough to visibly see the bait in one out of the four spots I’d baited so I headed there first to see if it had been eaten. 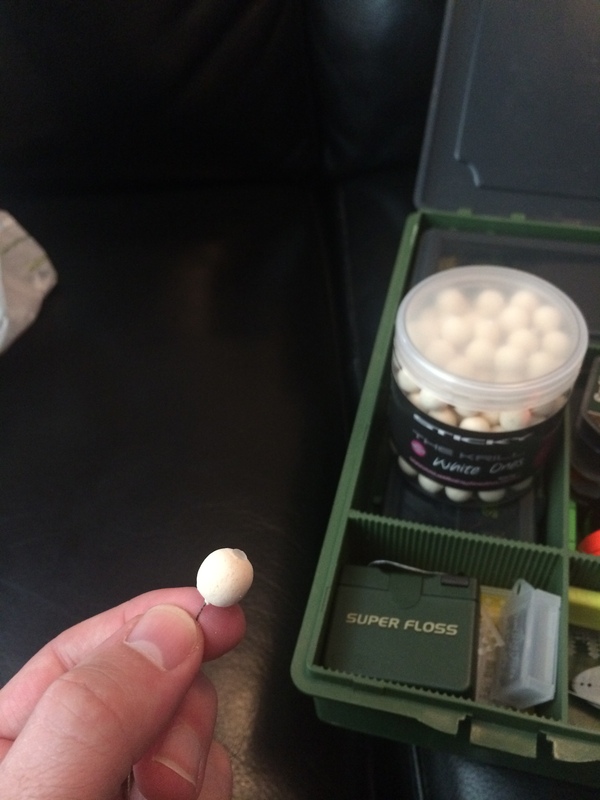 The boilies had in fact vanished, perfect – as least they like the Krill. I assumed that the other spots had been cleaned off too so introduced some more bait onto each so that I had options when I came to fish it. Small but perfectly formed, my new syndicate water. Saturday came and I put the gear in the car. I tried to scale it all down as much as I could so that I could stay mobile and just do short sessions without having pack a load of gear away. I also didn’t want to upset the regulars with my bite alarms and bivvy, there are a lot of retired people who fish the lake and they deserve the surroundings to remain peaceful so I wanted to be as unobtrusive as possible. I just fished 2 rods and although I needed the alarms, they were turned down so that you could hardly hear them and I used the receiver on vibrate only to alert me if I had a take. The bivvy and even brolly was left at home as was the huge unhooking cradle I normally use. I have a foldup Nash one that I use for stalking so that was packed as again it’s smaller and lighter. I met Gaz there who had already walked the lake and decided to setup where he’d seen a few crashing. There were two other anglers on and with the lake being so small I couldn’t fish near where Gaz and the carp were. 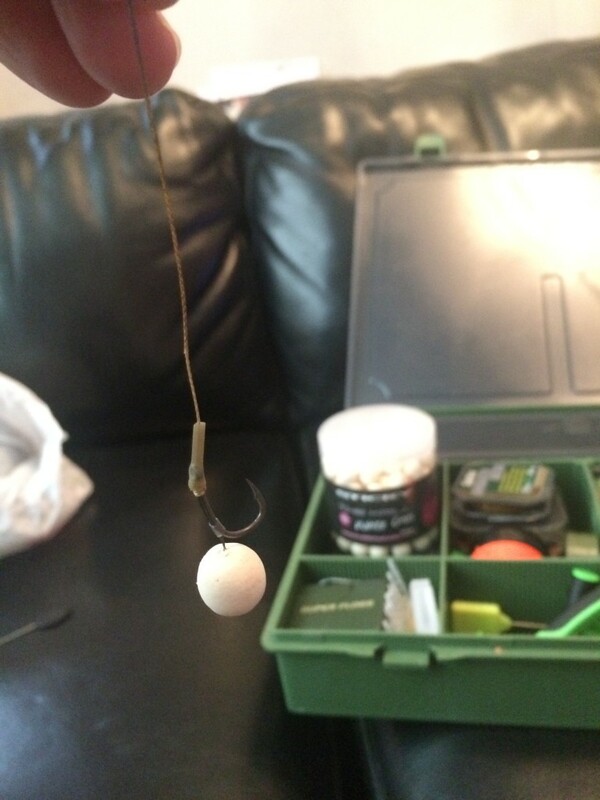 Because I’d baited both ends of the lake though I was quite happy putting a rig on the 2 spots I’d primed at the other end and setup with that in mind. The first rod went out into open water with a supple braid, snowman blowback rig and a few boilies went out around the spot. The second rod went underneath an overhanging tree where I’d heard the 17lb fish had previously been caught. 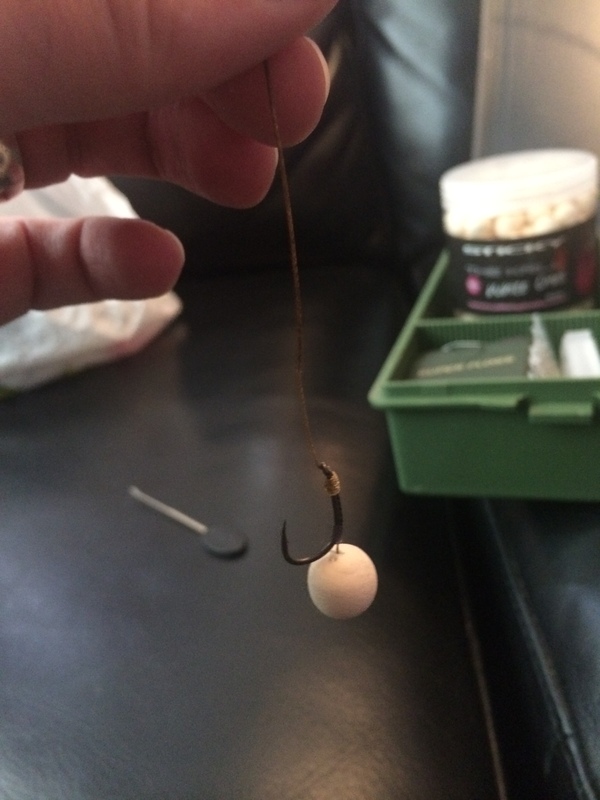 To avoid snagging up the tree on the cast I chucked my lead onto the bank at the side of the tree, attached my rig then put it in by hand. 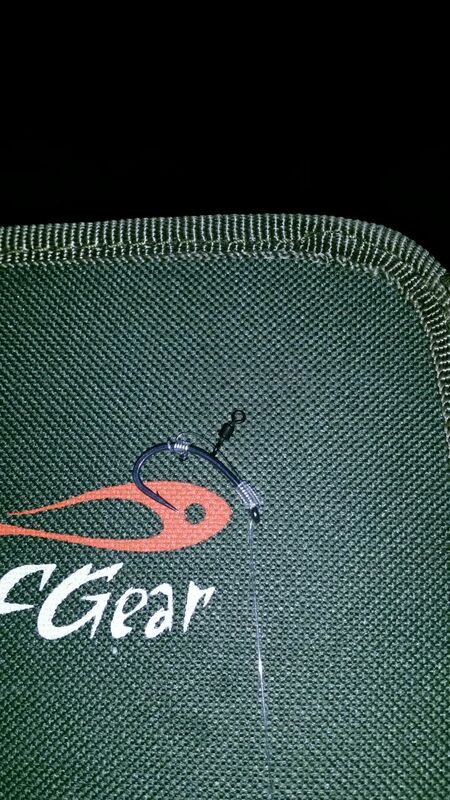 This was a helicopter leader setup with a Krill Pink One popup as the hook bait. No freebies were put out over this rod. Gaz had decided to do a bit of float fishing before targeting the carp and he’d managed a couple of ide. My rods had been out about an hour and nothing had happened. I wondered if I should have brought my float rod too just to see what else was in there and give me a better chance of catching something on my first trip. 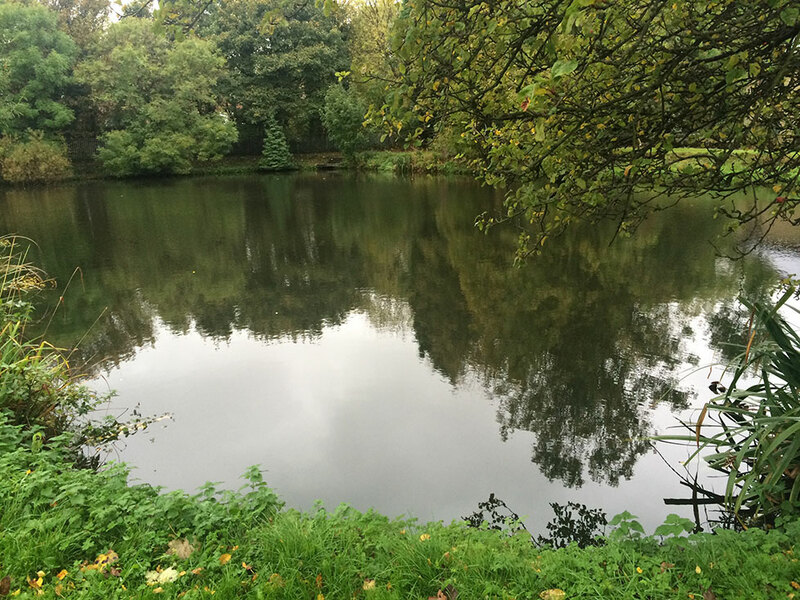 I quickly had a word with myself – I was here for the carp and I’d only just got here man! A few minutes later one of the Delkim’s burst into life and I jumped down the mud-built steps to lift into the fish. Somehow my left hand ended up on the blank above the handle as the fish decided to play Mr Angry. It went on a huge run and the mono burnt into my fingers slicing my skin – good start! I manage to tame the beast and get it under control. It came closer to the net and I knelt down to bundle it in, that was until 1) I stung net hand in the nettles next to my peg and 2) Mr Angry got angrier and went on another run. Luckily the skin on my hand managed to stay bonded together this time and I played the fish for another couple of minutes before finally slipping it in the net. I knew while I was playing it that it was a good fish (for this lake) and it looked very nice indeed as I laid it on the unhooking mat. The barbless hook was taken out with ease and the weighing resulted in a respectable 14lb 6oz. Considering the biggest fish in the lake is 17lb I was happy with that and a good result after only an hour of angling for my new found targets. Gaz came over to take some pictures and congratulated me on the capture. I slipped the fish back and got the rod back out onto the same spot which was the open water one. A few more boilies were peppered around the spot and I sat back down to reflect on the capture. 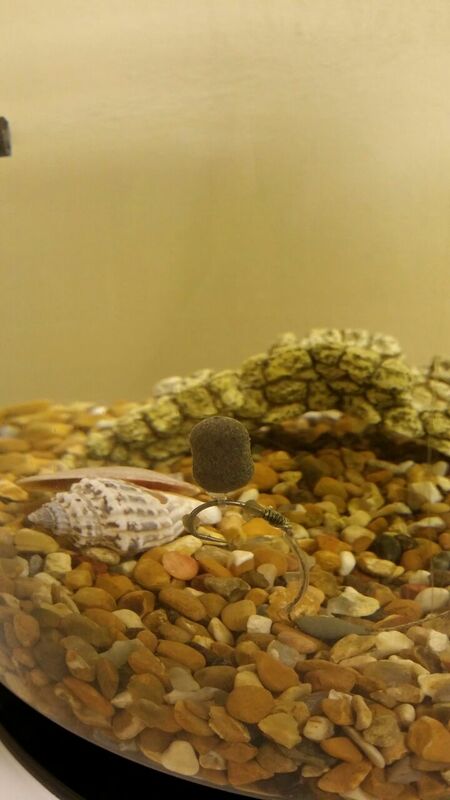 OK reflection in this instance means Tweeting and texting pictures of the fish but let’s not be pedantic. A 14lb 6oz mirror and my first fish from the lake. Before long the same rod was off again and I was hooked into what felt like a smaller fish. 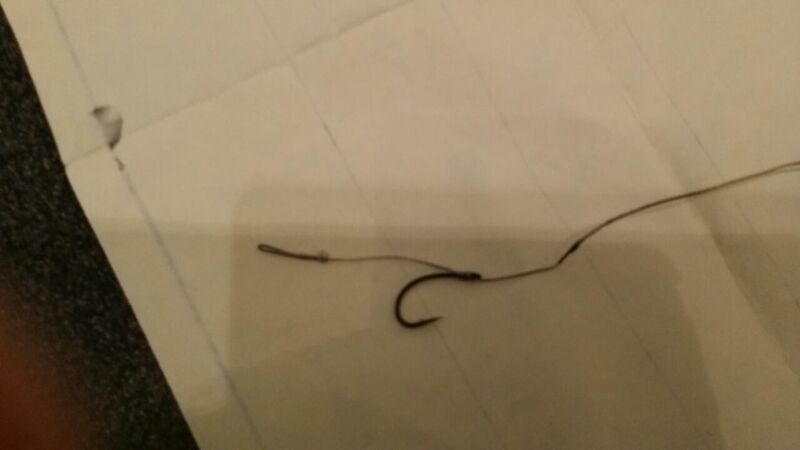 It didn’t last long and the hook pulled after ten or fifteen seconds. That’s fishing; you win some you lose some. The wind was starting to get a bit cold so I put a jacket on and made myself comfortable in my chair. The Delks were going nuts in the wind but I like a sensitive alarm so didn’t bother adjusting the sensitivity and just watched the indicator in case of a proper run. I wasn’t disturbing anybody as the volume was really low so I was happy to leave them as they were. After about half an hour I had an absolute belter of a take and the Delks dual tone sang to me in the autumn sun, bliss. A small common was soon in my net and released not long afterwards without a weighing or photography session, it was a nice fish but not really needed at the size it was at – see you again when you’re a bit bigger old chap! I decided that it was time to reel in and go home to eat, and drink, and wash, and watch Thinking Tackle etc… etc… I really enjoyed a few hours up there and will be going back mid-week to put a bit more bait in. My plan is to keep it going throughout the winter so that the carp don’t shut down and stop feeding. A 17lb carp to a lot of you will be ‘just a double’ but on a lake so close to home and the biggest carp there, it’s my target fish and I plan to do everything I can to see it on the bank. 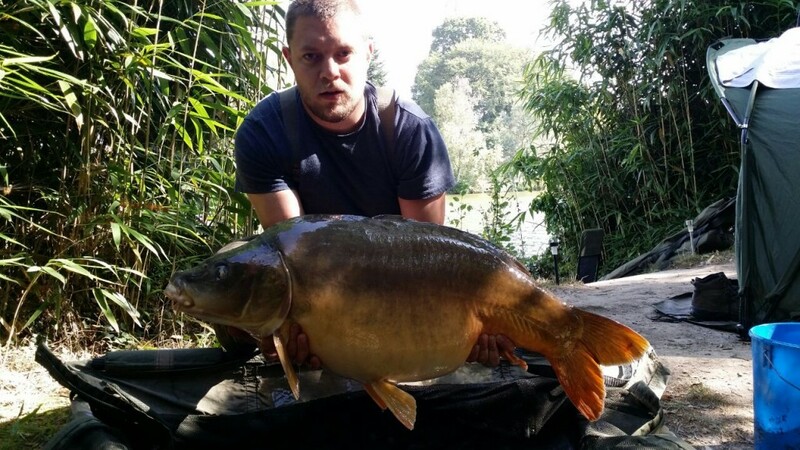 Posted in Carp Fishing Reports on October 18, 2014 by admin. Before I start, I think it’s important to point out that I’m not as good at writing as Rob is but I thought after such a memorable session it was worth having a go. I started fishing as a kid around the age of 9 catching small roach and Rudd from my local pond. There were about 10 of us in the village and we had a pond about 20 metres squared to fish in. As soon as one person’s float bobbed under, 7 more floats would suddenly splash down next to it! There was the chance for ‘Terry the Trench’ though, a real red letter day if you caught all 1lb of him! As with most of these stories I discovered beer, bacon and women and fishing disappeared to make room for work and relationships from about the age of 17 until around two years ago at the age of 27. I’ve since then become totally and utterly obsessed with fishing, from trout on the fly, to pike on the lure, to float feeder and more. But there is one fish that has caught me hook line and sinker and that is the carp. It seems to be full of mystique, with some people crediting them with near Mensa like intelligence. Personally I don’t believe all that twoddle but I do think they are very instinctual, running (or swimming) at the first sign something isn’t right. Unless you’ve got them feeding. When they get their heads down, especially in a group, they really can be easy to catch. For me the two most important aspects of carp fishing are location and baiting. Get these two things right and you are quid’s in. 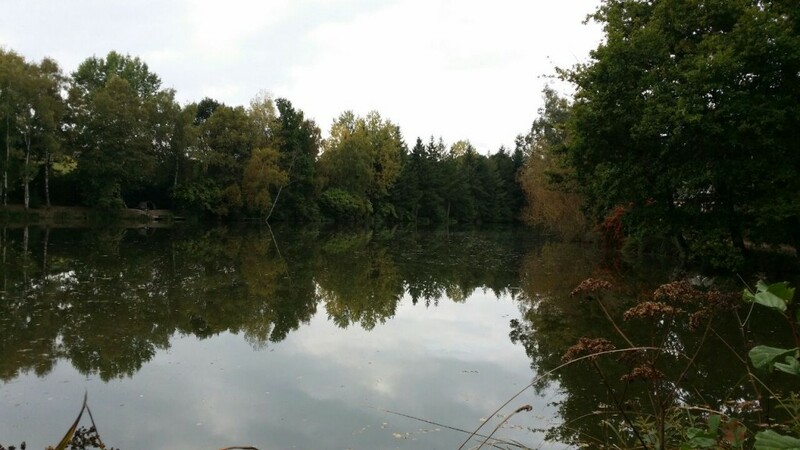 So obviously when I booked my first trip (via angling lines) to Les Genets carp lake in France for a week’s carp fishing over a year and a half ago, which aspect of my fishing did I focus on? Rigs of course! I spent hours and hours tying and perfecting all manner of rigs. Ask me to tie an anti-eject critically balanced reverse chod kd blowback? No problem! After hours of being moaned at by my other half, I narrowed my rigs down to three types, for pop ups, wafters and standard bottom baits. The flurocarbon D rig, great for wafters. SO at 4pm on a sunny Friday a few weeks ago, myself and 4 old friends, two from the original pond in the village of Palgrave Suffolk, set off to Portsmouth. Between us we filled the back of a Hilux and an old converted horsebox trailer. We must have had over £10,000 worth of gear loaded, it truly is amazing the amount of tackle you take when carp fishing. My target for next year is really to cut down and be far lighter and more mobile. 5 hours of traffic jams, MacDonald’s, AC/DC and repeated p!ss taking later, we boarded our ferry, destined for Caen’s France. The crossing was awful. Top tip number one, unless you’ve booked a cabin, take your bedchair on board and don’t bother with reclining seats, they are shocking! Saturday morning we drove off the ferry and on to the lake which was a quick 2 hours away on very quiet and clean French roads. On arriving, my first thought was ‘WOW’. What a truly stunning piece of the French countryside. The best way to describe it is a cliché, but idyllic just doesn’t do it justice. We walked the lake and setup our bivvies. Location was not a decision to factor in as we’d all drawn for our swims and I found myself, quite happily in the middle of the lake with one of the main features, an aerator, to fish to. We all decided not to fish the first afternoon and simply chilled, got everything ready and eventual mooched over to the fishing lodge for our first meal of the trip. If you ever visit this lake, and I strongly suggest you do, get the food package. 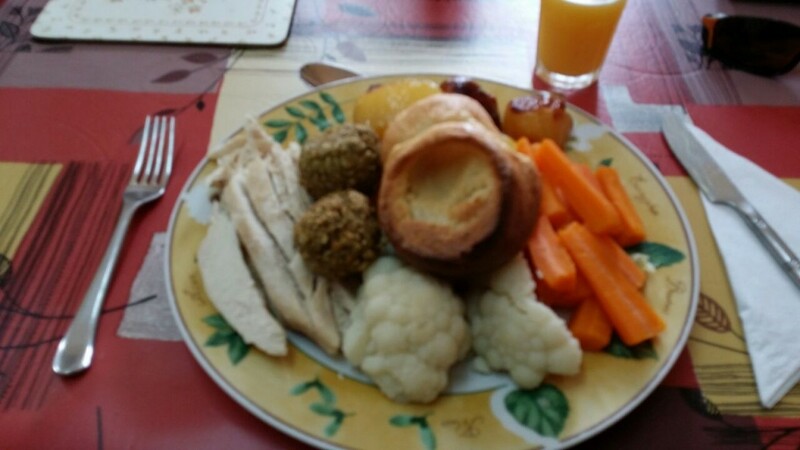 Heather’s cooking is tip top and you will certainly not go hungry. It’s a good job Heather’s cooking is better than my photography! Stuffed, we headed back to our swims. The lake is a standard oval shape however the far margin has a slight current caused by a nearby stream feeding into an inlet and out of an outlet at the other end of the lake. As such all the fishing is to the far side of the bank and all the pegs are on the other side. Due to the overhanging trees and shrubs etc., bait boats are essential, and the lake has two for hire at very reasonable rates (mine was the largest and an excellent boat at 80 euros). I chose to fish two rods either side of the aerator and one in just off an overhanging reed bed about 30 foot to the left. Bait was simple, crushed and chopped cell and hybrid boilies in both 15mm and 18mm with the addition of lake pellets (from the local leading fish farmer, they are superb quality with low oil and high protein. As such they are the only pellets allowed on the lake) and Larry’s, the lake owners, home cooked maize. 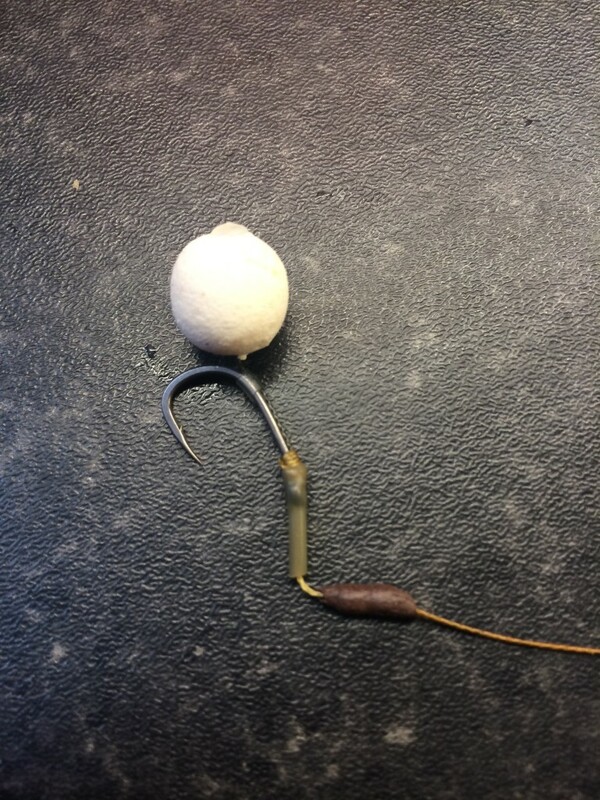 Hook baits were chopped cell, a cell wafter and a snowman rig. The stream inlet and outlet is at either side of the lake underneath these bushes. At about 3am I was rudely awoken by an absolute screamer of a take, a real one toner. As I hit the rod my first thought was, that’s odd, there’s nothing there. As I reeled in I could feel something pulling, all be it very small. As the tubing broke the surface, the offending culprit was clear – not a carp, but another species ticked of my list, all be it one I wasn’t overly happy to catch. A copyu! For those of you who don’t recognise the name they’re giant rat like rodents and not very pleasant at that! On the second day (after a cracking full English which was included in the meal package) I once again had a ripper on the left hand rod on the aerator. This was no coypu and the fight was fantastic. This fish was not interested in coming quietly and repeatedly stripped metres of line from a very tight clutch (I use ESP Syncro in 15lb and have total confidence in it, a superb line). 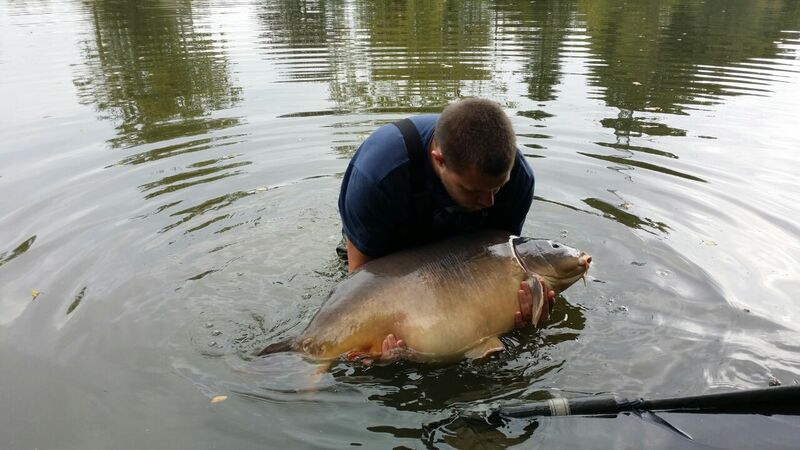 Eventually a golden mirror carp slipped into the net and after photos and unhooking weighed in at 36lb and 8oz. I was off the mark and what a way to start, with a PB. This was possibly the best looking fish out of everyone’s catches and was certainly the best of mine. A stunning, perfect and unblemished creature which I will remember for a very long time. Rig wise all that messing around months before had been pointless it seemed. It fell to 3 pieces of maize tipped with a piece of fake floating corn to negate the weight of the hook. A size 8 Fox Arma SSC served as the hook and this was simply knotless knotted on with no additional trickery, it simply doesn’t need it. 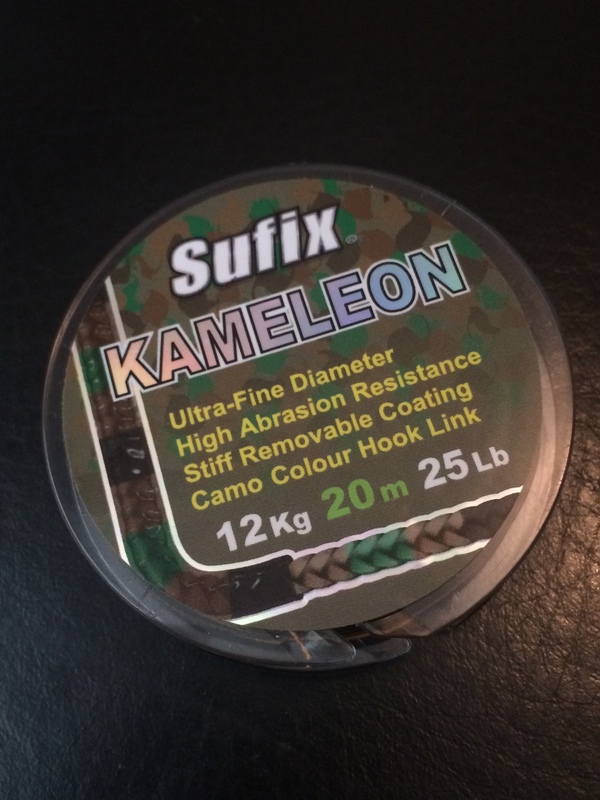 Fox Camotech coated braid in light camo 15lb soft made up the rig, with the coating removed on the hair and just below the hook to create a hinge effect. An anti-tangle sleeve covers the double loop knot and this is attached to a Fox quick clip tied with a Palomar knot (I have 100% confidence in this knot) to the mainline. Normally in silt I would use a lead clip system; however since we were using the boats I opted for an inline system to give me better bolt effect. 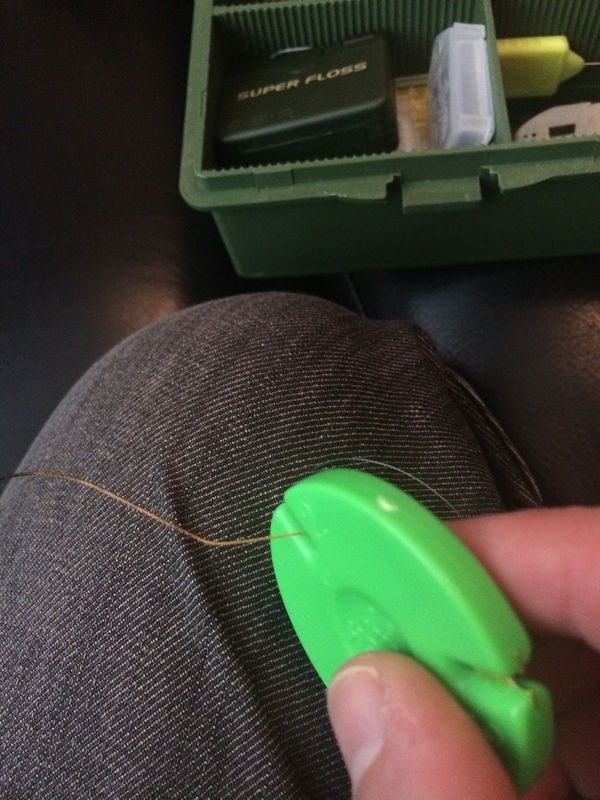 The lack of weed and snags meant I didn’t need a drop off system (there is really no need to ditch a lead unless you are fishing really snaggy swims – I’m sure all the talk of dropping leads is simply a way of tackle firms making more money out of us). The lead of choice was a Taska flat pear inline at 2oz. Anti-tangle tubing impregnated with tungsten by Nash polished this off and I always use a back lead with a heavy bobbin when fishing in this way. 36lb 8oz, my first fish and more than double my UK PB! 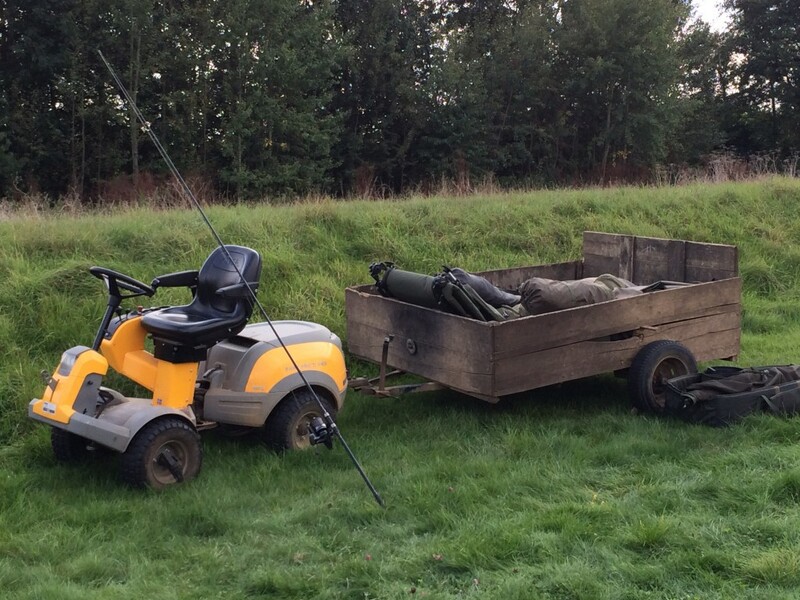 Day three began as day two had – a fry up, the rods out and a dose in the bivvy. Eat, sleep, fish, repeat! At about noon I was alerted to my right hand rod by two single bleeps. My mate had seen a fish crash further to the right of my available water by another reed bed in the morning and told me over breakfast. Nothing ventured nothing gained thought I and I decided to put the same maize rig over this spot. It was this rod that was now alerting me. However nothing was really happening. The bobbin moved slowly up then settled back down again. I turned the alarm off and pulled the line gently with my fingers, something pulled back. I hit the rod hard – Fish on! Slowly I retrieved line and I have to say the fish didn’t seem to put much of a fight until I saw it about 3 rod lengths out. It looked like another mid thirty. It soon took off and completely flat rodded me, stripping at least 50 metres of line in a matter of seconds. This was no mid thirty. If it was, it was on steroids. After about 10 minutes, it slipped over the net. Looking in the net I knew it was a decent fish. As I lifted it out of the water I knew it was a very good fish. As I inspected it on the mat my heart stopped. The lake record fish has a very distinctive scar that looks like a lightning bolt. This fish had the scar. All of a sudden it seemed to balloon in size. We shouted Larry round and as we weighed it I was all over the place. As the needle span round to 59lb and 9oz Larry told me it was a new lake record. I couldn’t believe it was happening. I tried to hold it up to the cameras but couldn’t – the fish was huge and I was simply not strong enough to lift it. Waders on, I went into the drink, and thank god I did. What a truly amazing feeling. Being in this beautiful animal’s world was a very special feeling. 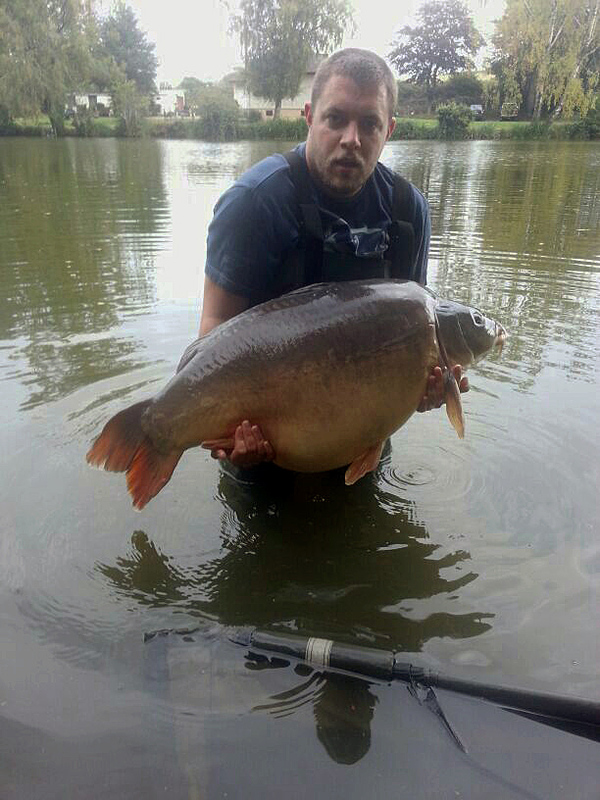 The big girl at her biggest weight yet, what a result. As the photos finished, I held her in the water and gave her a kiss. What a magical moment. She rested on my hands in the water, holding her own weight, but not yet ready to swim away. Eventually, after what felt like an eternity but was probably only a matter of seconds, she swam off strongly. I just stayed in the water staring at where she had gone, in a true state of shock. My fist trip to France with a UK PB of 17lb, not only had I smashed it, I’d caught the lake record! Beers were exchanged, hands were shook and I just seemed to float around in a world of my own. Needless to say the rest of the trip was a bit of a blur, but in total I caught 7 fish, totalling 230lb. Between the 5 of us we landed over 1280lb of fish and averaged 33lb per fish. What a truly amazing trip and one that will be remembered by all of us for a long, long time – most of all by me. Overall I was pleased with the way I approached the session. I concentrated on my baiting, feeding little and often and not sitting on a huge pile of bait like many anglers do. 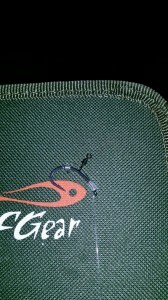 I simplified my rigs and although the big girl came to a simple hair rig, the others came to a fluorocarbon D rig that really works well with wafter hook baits. If you want a trip to France, go for Genets. Superb fish, superb hosts. Not an easy lake by any means, but not stupidly complicated like some. The total price was £675 and that covered the lake, food, travel, crossing, bait and plenty of beer. Bargain! A special mention must go out to the hosts Larry and Heather, you couldn’t ask for more. Nothing was too much to ask and Larry is a fountain of knowledge. Listen to him and you will catch. The lads must also take a mention, Slim, Coops, John and Chip. Chip our driver and local guide (his French dialect is something to behold) was on his 7th trip, and caught 19 fish up to mid-forties in the week. So to finish, if you’re thinking of a trip to France, get on Angling Lines and get to Les Genets but leave the big girl alone, she belongs to me! To keep up to date with Dan’s fishing adventures, follow him on Twitter. Have you ever thought about a carp fishing holiday in the UK? Read the guide here. 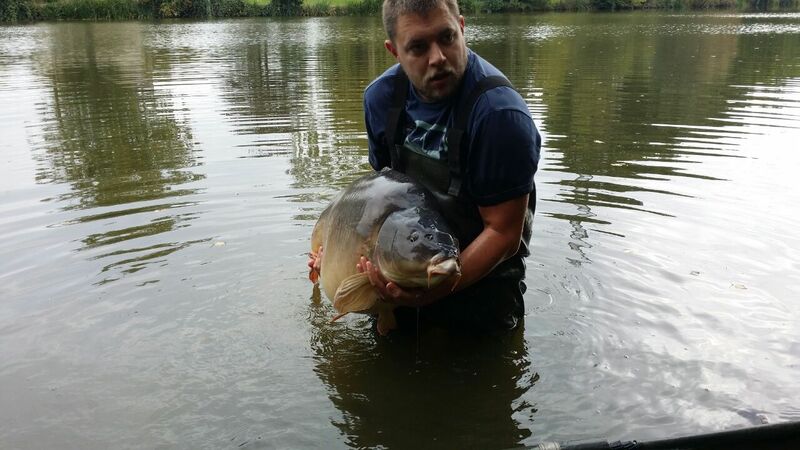 Posted in Carp Fishing Reports on October 11, 2014 by admin. I’ve been following Nick Burrage for a while now. He’s currently sponsored by Nutrabaits and Gardner Tackle and was previously a consultant for Nash Tackle. His YouTube channel is excellent and it’s clear to see by watching his videos that he’s a very technical and thinking angler. One of the subjects he covers a lot is watercraft and this is an area that I needed to improve on so I fired off an email to book a slot in his diary. Before long I’d received a reply and after a couple of emails we had a date in the diary. Nick had asked me to write down some of the things I’d like to cover and a list of things I wanted to ask him on the day. Over the next week and a half I wrote down as many questions as I could think of in preparation for the session. Along with theory, I wanted to improve some of the more practical areas of my fishing like casting and feature finding so I told Nick this to ensure we spent the right time in the right areas on the day. After finishing work at 12:30pm I came home and packed the car. Frisby Lakes isn’t a venue I’d heard anything about previously so I stuck it in the sat nav and set off to make the 2 hour trip. The journey was fairly painless and I arrived at the lake at around 4:20pm. Nick appeared in the car park and after the introductions we had a look at the water and straight away Nick started emptying his head of knowledge whilst filling mine. He had arrived a couple of hours earlier and found us some fish to angle for. Unfortunately this was at the other end of the lake but fear not, we managed to wangle the best ‘barrow’ in the world to take all our gear round there! Best ‘barrow’ in the world? Absolutely! 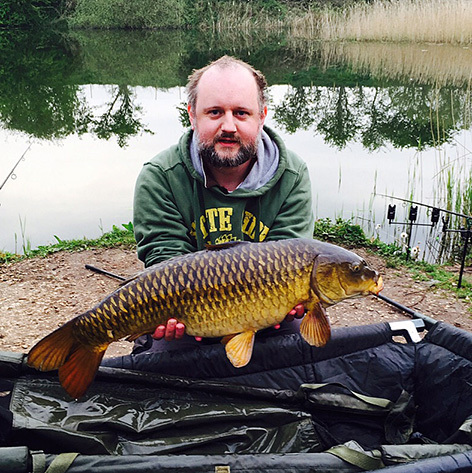 Nick’s bivvy was already up and we decided to share a peg and fish with just one set of rods. The plan was to get the rods out to see if we could nick a bite then get up early the next day and cover all of the theory that I wanted to learn. 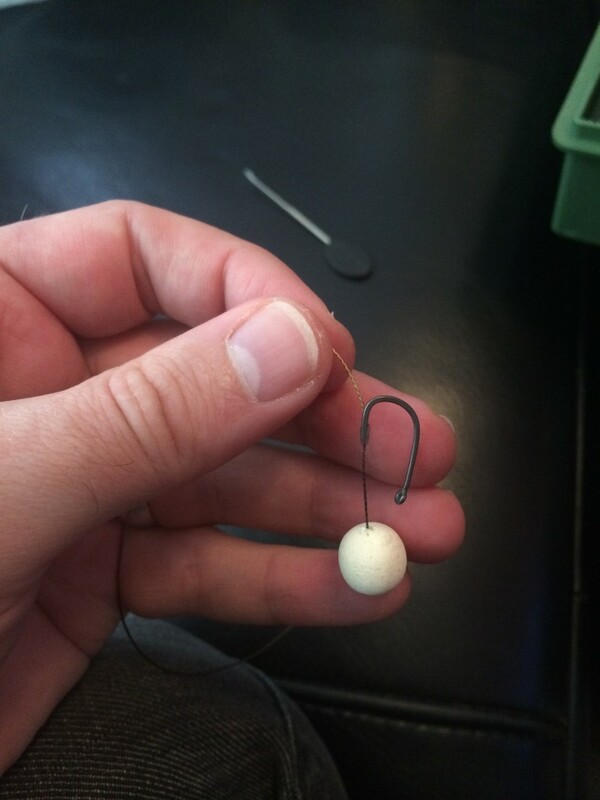 Whilst setting the rods up Nick went through the various end tackle setups that he uses – believe me this was an eye opener, I love innovation and there were a few cool tricks and tips I’d have never have thought of in a million years! With the rods out I started to set up the bivvy as the sun was setting and I didn’t want to be getting my house in order in the dark. We had a few brews in the dark and chatted about carp fishing which led to covering some of the theory that we were due to cover the following morning. I wouldn’t have been able to take any proper notes as it was pitch black so I tried to retain the information and write it all down the next day – this wasn’t the easiest thing to do as there was just so much info! Nick’s knowledge is very impressive and I went to bed with all sorts of things spinning around in my head. Some of the things we spoke about that evening I’d never even considered. PH levels and water density I imagined to be in the vocabulary of a chemistry teacher, not your average carp angler but I loved every minute of it – this is the stuff it would have taken me years to cotton onto and learn about so I was lapping it up and trying to retain as much as I could. The night promised more than it delivered, we had a few liners before bed and then another few throughout the night. One of them was so savage that I ran out of the bivvy and picked up the rod! I’ve never cast out in the dark but as we had a chod rig on I was confident that it would present over anything so lobbed it back out and went back to bed. It turned out that it was a bit of a rubbish cast as the line was drooped over some reeds at the side of the peg which I only discovered in the morning when it was light again, DOH! The high pressure meant a very cold night and when we got up early the next morning we had to put coats on to stop us shaking uncontrollably. From 7am – 3pm we covered all of my questions, the theory I wanted Nick to talk about, rig tying and baiting patterns. As you might expect Nick’s rigs were very innovative and there were a lot of ‘ah, that makes so much sense’ moments. I took lots of notes and had pages and pages of them by the time we wound the rods in for the casting and feature finding lesson. Unfortunately the fish had moved out late morning so we never got a bite but I didn’t care, it was never about catching fish it was about learning and boy had I done that! I read all the time in the mags when anglers are talking about their sessions that they have ‘found their spots’. 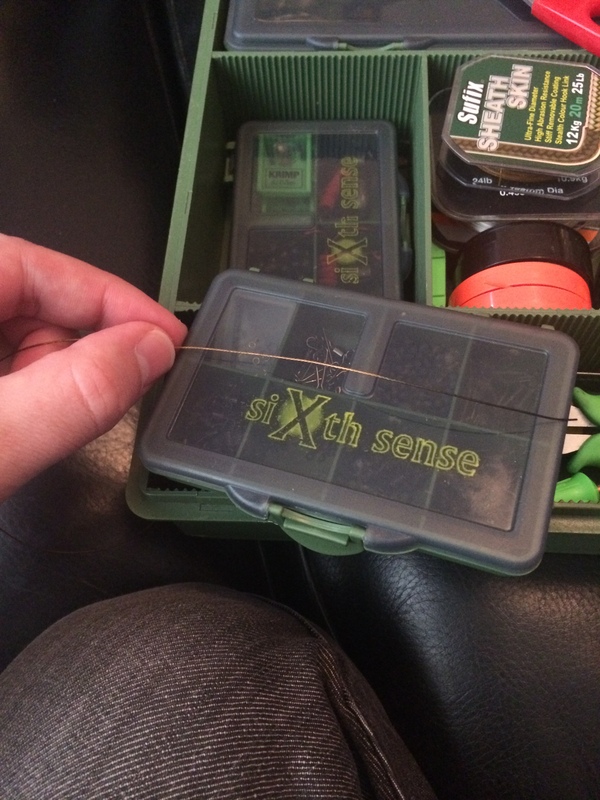 Normally it’s a hard spot the size of a dinner plate in a thick area of weed, a silt depression or a gravel bar etc… I had no idea how to find these spots and even if I did I’d never be able to find them again with my rigs as my casting was so poor! Nick watched me cast and started to give me feedback. I said to him that I was much more interested in accuracy than distance, I don’t fish any lakes where long chucks are required but I wanted to be able to cast accurately to islands etc… It turned out that I was doing more ‘pushing’ which was affecting my accuracy and my distance regardless of how much power I put into it. Within a few casts Nick had got things looking much better. Distance was still relatively short but the accuracy was much better and the whole thing felt more fluid. After a few more casts I was getting further out and was happy with how far I’d come in such a short amount of time. We did some feature finding and talked about why certain spots were good to present a bait. I think just these 2 combined will help my fishing massively but that combined with all the theory I’d learn over the last 24 hours I’d probably knocked about 15 years off of learning it myself. I thanked Nick, said goodbye and set off on the journey back to Yorkshire. Unfortunately it was rush hour but that meant that I had time to run through some of the things we had covered in my mind. It was a brilliant tutorial and I had learnt a stack of new things. So, after 2 tutorials where am I now? Well, I’m certainly at a point where I am taking bits from each session that fit most with my style of fishing. I have 4 tried and tested rigs in my armoury that I’m 100% confident in. I have various end tackle setups I can use for different situations and have a good idea about when to use each one. I have a baiting strategy for different types of lakes and have the option to fish a tight or slack line now I know how to set each one up and get maximum indication from each. I am now confident that I can turn up at any lake and either find some fish or apply some theory to it to make an informed decision about where they should be given the conditions on the day. More than anything though I have confidence in what I’m doing because I’ve been shown it by two very successful carp anglers. We all know how much confidence can maximise results and because of the two tutorials I’ve done, I no longer have any worries that I’m doing something wrong. I’d definitely recommend a tutorial to anybody. Do some research and pick the correct angler for your type of fishing and you’re onto a winner. 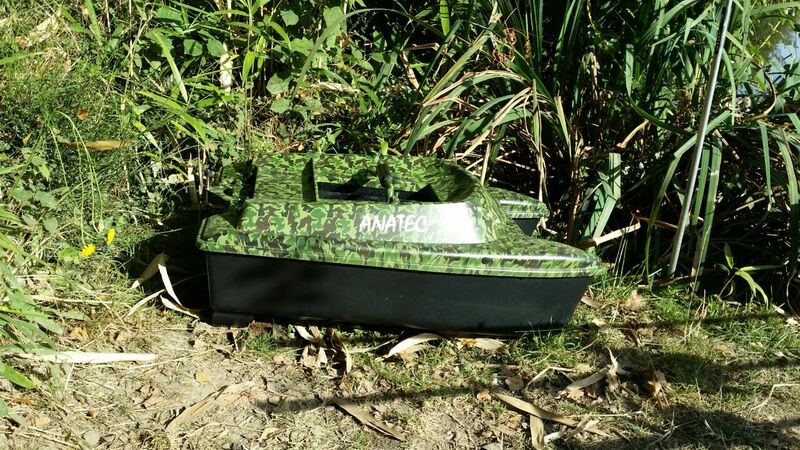 Posted in Carp Fishing Reports on October 1, 2014 by admin.